There is no doubt that California has a massive amount of trucking driving job opportunities throughout the state. In fact, 78 percent of communities throughout California alone rely solely on trucking to import and export their goods. In May of 2016, California had the second highest level of employment within the field of what the Department of Transportation calls “heavy tractor and trailer truck drivers” with 130,640. It should be made known that this data accounts for drivers alone, not for others who work within the industry. To realize just how massive trucking is within California, it should be stated that it is one of only two states that have trucking-related occupations that rate in the top ten under the category of metropolitan areas (with Texas coming in second.) The highest level of employment for drivers is in the Los Angeles area (combined with Long Beach and Glendale, CA) coming in sixth in the nation with an incredible 30,850 employees and Riverside-San Bernardino-Ontario,CA area coming in at a close seventh with 25,730 employees. Oddly enough, even with the high level of employment the state sees, they do not come within the top five paying states as drivers in California make an average of $41,300 to $42,990 a year - falling behind the likes of Mississippi and the veritable trucking nexus of Florida. On the other hand, the two metropolitan areas mentioned above make well over the state average with Los Angeles-Long Beach-Glendale making an mean average of $21.53 an hour, or $44,780, while those who are employed in the Riverside-San Bernardino-Ontario area make a mean average of $23.10 an hour, or $48,050 annually. While wages and salary are always an interesting topic, the California trucking industry has recently come into the news due to transportation bill SB-1. According to information directly from the California Department of Transportation, which does not have more current information available that that from 2011, there are more than 30,130 trucking companies located within the state that are comprised of 5,645,836 registered trucks and 2,380,417 registered trailers. In 2010, these very semis transported around 3,822,566 tons of manufactured goods a day and in 2008 that also accounted for 24.8 billion miles traveled within California throughout the year. Taking those statistics into account, it came to light that operators of “...typical five axle tractor semi trailer combos...” paid $8,473 in state highway user fees and taxes along with $7,771 in federal user fees and taxes along with regular business taxes in 2011 alone. This is furthered by the fact that in 2009, California trucks paid around $4.3 billion in federal and state roadway taxes and fees, while in 2008, these truckers paid in 36 percent of ALL taxes and fees owned by California motorists, even though trucks only represented a relatively insignificant eight percent of all vehicle miles traveled throughout the large state. To understand what the new bill is trying to put into action, one must know exactly what the existing law consists of. In short, which still is not all that short, the current law gives different sources to fund transportation that, “...includes funding for the state highway system and the local street and road system.” To name a few of what these said sources include: fuel excise tax, commercial vehicle weight fees, local transactions and use taxes, and federal funds. These happen when registration fees are added into the Motor Vehicle Account which then turns around and uses the revenue for projects under the Department of Motor Vehicles and also the Department of the California Highway Patrol. The new bill would form the Road Maintenance and Rehabilitation Program in order to take care of delayed maintenance measures on the state highway level as well as the local street and road level. It would furthermore cause the California Transportation Commission to introduce a realm of performance criteria to make sure that funds are correctly used. 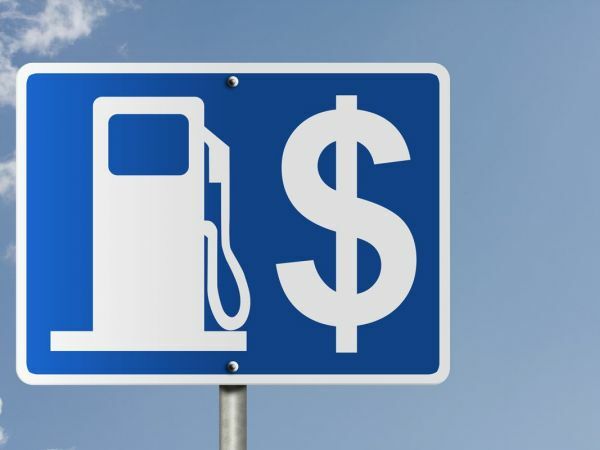 To fund this, law makers have asked to include an increase of $0.12 per gallon increase in the gasoline tax and, obviously more important to the trucking industry, a $0.20 per gallon increase on the diesel tax. However, the increases do not stop there as the bill also includes a Vehicle License Fee Law that can cost anywhere between $25 and $175 according to the vehicle's value. Also, vehicles that produce no emissions would now be subjected to an extra annual $100 registration fee beginning with model years of 2020. The tax increase is set in the bill to begin November 1 of this year and the transportation improvement fee to start January 1, 2018. The bill will also make changes to the internal infrastructure of the Department of Transportation as it would also create the Independent Office of Audits and Investigations that will have more specific powers and duties. On April 6, after over a week of tough debate, the bill passed through the Senate with a vote of 27-11 and an even closer 54 votes through the Assembly. While this may seem like plenty to pass the bill with confidence, it is actually the smallest amount of votes needed to pass in either of the houses. Much of the opposition that met the bill was the fact that several politicians felt instead of passing a new bill, money to cover the price of infrastructure updates and rebuilding should be taken from the general fund, which has risen by $36 billion recently. Another huge reason for opposition against the bill was the fact that Trump has maintained his stance on already increasing the amount of money allocated to maintaining and bettering infrastructure across the nation. This means, that many of the politicians voting on the bill felt that by also raising the gas taxes in California, the state would be double dipping in the amount of money received for infrastructure. One of the cornerstone reasons for both the Senate and Assembly finally deciding to pass the bill is that Governor Jerry Brown strongly backed the bill as a way to combat the fact California has not seen a raise in gas taxes in 23 years. Brown reasoned that the current status of infrastructure throughout the state has severely declined – so much so that there is currently a $130 billion backlog of roadway related projects. Some of the details of the new bill are not semi-truck related directly such as the allocation of specific funds to specific districts and projects, but many legislators maintain the idea that with better roads, there will be fewer crashes – meaning safer driving conditions for trucks. 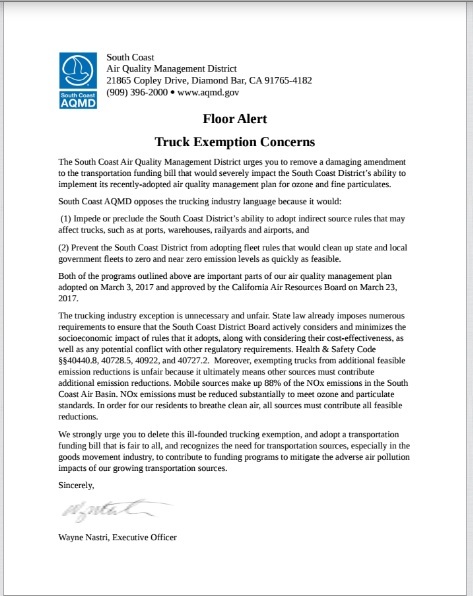 Another aspect of the bill which does reflect the trucking job market directly is that it is going to make it harder for air quality advancement groups to pass regulations and measures to get older, more pollution producing trucks off the road.The phrasing of the section which contains these provisions is very confusing due to its highly legal language, but what it boils down to in a more simple form is that semi trucks can reach the age of 13, with no dependence on use or mileage, before a fleet or driver will have to replace the semi. According to a leader within the California Trucking Industry, this provision is a direct response to the fact that the extra taxes truckers will have to pay due to their reliance on diesel fuel will without a doubt cause the price of trucking the rise within California. This means that with the increased price of operation, fleets and individuals will have less revenue to spend directly on trucks. As mentioned before, the Los Angeles-Long Beach-Glendale metropolitan area is one of the most concentrated places in the entire nation for number of employed truckers. With that in mind, trucking is also the biggest cause of smog within that same area. Though it is easy to disagree with what the AQM has stated about the provision keeping trucks around for longer, it is important to weigh out benefits of all possibilities in order to reach a decision that is most beneficial to the industry. 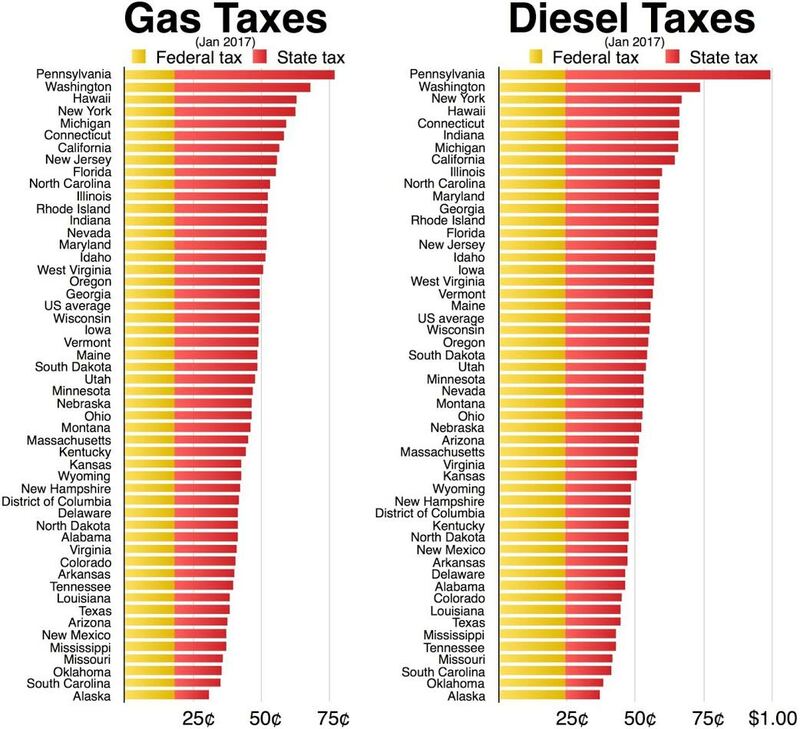 It goes without saying that any sort of tax hike is never fun, the fact that California has not raised their gas and diesel taxes in 23 years at least shows that with this hike, it will, hopefully, be a long time coming before another one is passed. Many argue that the trucking industry should look forward to the fact that with this tax hike, they are directly helping to make the roads a better, safer place for all drivers. With better, smoother roads, many argue, trucks will also more than likely see a better rate of miles per gallon, therefore making up some of the cost purely in the amount of diesel saved. Others however, see the tax as yet another unnecessary governmental imposition that will hinder personal prosperity. With trucker job positions maintaining such an incredibly strong industry throughout California, it becomes increasingly obvious that truckers and legislators much work together in order to provide a mutually beneficial relationship.